At the age of 88 years old, “Sir Roger Bannister, died peacefully in Oxford on 3 March 2018” his family said he was “surrounded by his family who were as loved by him, as he was loved by them”. He was best known in sport for breaking the four minute mile barrier (3mins, 59.4s) on 6 May 1954, nearly 60 years ago. Something that he worked relentlessly to achieve remembering that, “I felt suddenly and gloriously free of the burden of athletic ambition that I had been carrying for years” (The First Four Minutes). He held the record for 46 days when John Landy, Bannister’s rival, ran a mile in 3mins, 57.9s in Finland on 21 June 1954. Indeed, breaking the four minute mile barrier was a giant sporting achievement particularly in light of the lack of training techniques, research and technology that currently exists today. Nonetheless, Sir Roger said, “None of my athletics was the greatest achievement, my medical work has been my greatest achievement and my family with 14 grandchildren. Those are my real achievements”. For many, however, “Life after sport can be a challenging time, but it needn’t be. It’s a wonderful opportunity for reinvention.” (Richard Branson). Ending a career in sport can be a particularly challenging transition which can have cognitive, emotional and behavioural effects on individuals (Taylor and Ogilvie, 1994). Many athletes struggle with life after sport particularly those who are ‘performance’ focused with a strong athletic identity whereas athletes more focused on ‘discovery’ tend to discuss life after sport more positively (Douglas and Carless, 2015). The transition from sport to life after sport can be even more disruptive if it was not planned (e.g. a career ending injury) (Allen-Collinson and Hockey, 2007). Regardless, if not supported, the dramatic transition can elicit stressful reactions and difficulty adjusting emotionally (Lavallee, Gordon & Grove, 1997). Athletic careers have a short shelf life with athletes ordinarily retiring before their mid-late thirties, but Sir Roger was able to put his great sporting achievements in perspective and set his sights on other meaningful purposes enabling him to live a full life enriched by family and medical breakthroughs. The irony of Sir Roger Bannister being diagnosed with Parkinson’s, a medical field he had worked a lifetime in, is not lost on me. My Grandfather was diagnosed with bowel cancer after his wife, Joan Bebbington, had dedicated so much of her life working for Mr Douglas Macmillan (now known as Macmillan cancer). Similarly, another sporting legend, Muhammad Ali, also developed the degenerative brain disease Parkinson’s and died in 2016 at the age of 74 years. Sir Roger may have argued, as a neuroscientist, that the brain is the most critical organ but the loss of a loved one will be felt most critically in all our hearts. This entry was posted in Career transitions, E233, E313, Helen Owton, psychology and tagged Athletes on March 5, 2018 by Helen Owton. The summer is here and for those who want to use it to your advantage here are some top tips on how you could get a First in Sport and help you get ahead for your next academic year! One of the top tips for students wanting to gain a first in their subject is to have a passion for their subject (Tefula, 2012). The vast majority of sport and health science students share some sort of sporting experiences given that the majority of students partake in sport themselves. Indeed, I argue that these sports science students tend to be ‘active learners’ (Owton, 2016) which means that the best students make notes in learning sessions which can help if you have a short concentration span. Get the most from your lectures by doing pre-reading, take notes and record the sessions and listening to podcasts of lectures that relate to your topic area. As sports students, you are in an ideal position to reflect upon your own experiences. Indeed, previous sporting experiences have been sources of confidence for sport psychology graduates and this experiential knowledge can have a major impact on a student’s development (Brown, Gould and Foster, 2005). Martens (1987) has highlighted the importance of experiential knowledge which is vital in areas such as sport psychology and sociology to forming relationships, understanding the human experience, and introspection of self. This is something sports students can use to their advantage and making the most of activities that give you the opportunities to think with personal experience and blend this with academic literature to support your claims will help gain you first in your final degree. Prior knowledge is another tip for getting a first. Again, sports students have an advantage here with their shared experiences in sport. Also, you have lots of opportunities at the Open University to engage in free OU learning courses at different levels and participate in the Skills Check on the library website (https://www2.open.ac.uk/students/skillsforstudy/assignments.php). You could use the summer holidays before and during your studies to participate in the free OU learning courses to give you a head start. It means you keep a foot in the door of studying as well so you build on your knowledge from year to year. Reference, reference, reference! Whilst prior knowledge and experience bodes well for students wanting to get a first for their degree, it goes without saying that referencing your points with supporting literature helps strengthen your arguments. This demonstrates that you have read widely and the more widely you read the more you will understand the wider arguments embedded in the topic areas. When we think of someone with a good work ethic, we might think of someone who is self-disciplined, professional, responsible, positive, organised, dedicated, accountable and humble. These are all qualities that help towards gaining a first in your degree, but being disciplined by making the most of the time and space you have is key to giving yourself the right environment to process what you are reading and digesting. Just remember to submit mitigating circumstances and seek support if you need to. It much more challenging when you are juggling family, part-time or full time work, multiple modules, relationships and other personal responsibilities which is why this is one of the key aspects. If you cannot study at home or at work, there are plenty of other places which might suit you better – cafes, libraries, hotel receptions. Try different locations for different tasks to see what suits you. Your degree lasts 3years and longer which is a commitment to learning, but once you recognise that learning is something that happens through life and your career and doesn’t stop once you complete your degree then this opens up a new way of thinking outside the box. I’m sure some of you are familiar with Carol Dweck’s concept of the growth mindset given that this theory is covered in some of the Sport & Fitness modules. A growth mindset is the idea that talents and abilities can be learned and developed through constant effort, determination and persistence. In other words, with hard work, you could get a first. Working hard and putting in lots of effort isn’t just enough if you are not working hard on the right aspects. Imagine a hamster running round and round in a wheel; the hamster is working really hard but isn’t getting anywhere. If you are not working hard on the right things then whilst you might feel like you worked really hard you haven’t achieved the grade you want because you haven’t worked smart. Take exam preparation as an example. You can read and re-read notes over and over again until you are blue in the face, but there are strategies for revising which help you to master memory. Testing your memory with Cue cards will be more effective than reading your notes over and over again. Being strategic about how you revise and work will help you achieve the grade you want which is the same about how you work and prepare for your assignments. Reading widely around a topic is a good start, but don’t just include everything you have read and think that a long reference list will get you high marks. Remember, you need to be selective about the things you have read and form a coherent and convincing argument which answers the question. Preparing your assignments in advance of the deadline is a useful strategy. This gives you the opportunity to proofread your work, let others proofread it, give yourself space from the assignment and then craft your assignment with fresher eyes. Writing is a craft which needs work and not even the best writers share their first draft. Make your final assignment count! Remember, at the Open University, your final assignment can sometimes determine your overall grade regardless of how well you have done in your overall TMAs. Think about where you expend your energies and how you apply yourselves to make your final grade count. Remember the best athletes are those who focus on their own race, their own personal best and don’t compare their results with others. Make the most of your degree but remember to look after your body and mind (keep a check on exercise, diet, alcohol and sleep). Brown, C., Gould, D., and Foster, S. (2005). A Framework for developing contextual intelligence (CI), The Sport Psychologist, 19, 51-62. Martens, (1987). Science, knowledge, and sport psychology. The Sport Psychologist, 1, 29-55. Tefula, M. (2012). How to get a first. Basingstoke: Palgrave Macmillan. This entry was posted in E112, E113, E117, E119, E217, E233, E313, E314 and tagged Learning and Teaching on July 10, 2017 by Helen Owton. Referencing In Sport: Getting your head round it! Textbooks e.g. the Study Guide or Reader for your module(s). Additionally, in sport, the general rule of thumb is to avoid using too many quotes because summarising information helps you understand something better as well as demonstrate your understanding to the person reading your work. Including too many quotes can result in a very superficial response to a question and when you are being marked you are not demonstrating your understanding to the reader/tutor. You should therefore keep direct quotes to a minimum and look to summarise (paraphrase) the information you have read whenever possible. Despite the need for referencing and citing appropriately, you must write about it in your own words. This can help demonstrate your understanding of what you have read and that you can apply this understanding to the question you are attempting to answer. Remember to reference it in the text AND in the reference list at the end of the essay. By doing this you are meeting academic criteria. It is important to get your head round referencing because a lack of referencing can directly affect the overall quality of your response to a question and consequently affect how tutors mark the essays. Many tutors take the view that when students have been told how to do something in their writing and then do not do it, it is valid to penalise them by lowering their mark (Norton et al., 2009). 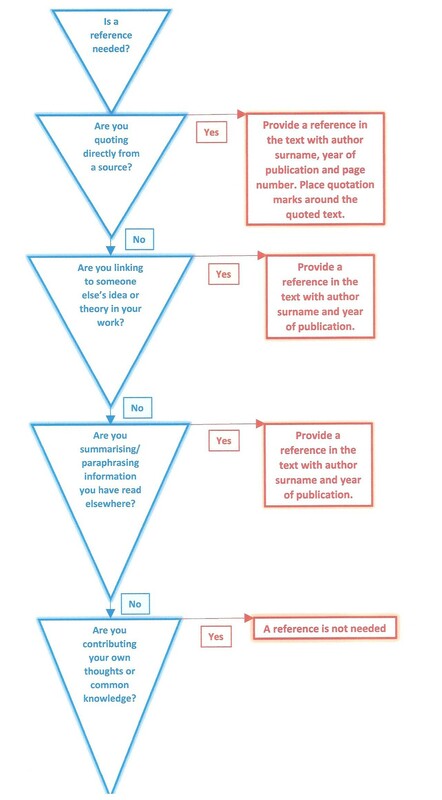 This happens particularly when a student’s turnitin scores are high (e.g. over 25%) which shows a high level of copying directly from another source or putting things in your own words. In order to gain further information about referencing on your module take a look at the Assessment Guide, available from the module website. The Open University library provides a range of resources to assist with academic writing and referencing. 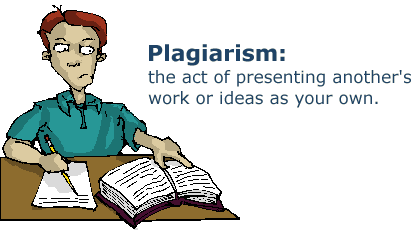 The Referencing and Plagiarism section here contains further information along with a very useful video about plagiarism. In addition, the Study Skills section on your StudentHome page also contains some very useful resources to help you plan and write assignments. Remember too that your tutor is there to provide support so do get in contact with them if you would like some specific advice about referencing. In essence, “Every single name that appears in anything you write must be followed by a date in brackets, and the full reference must be presented at the end of your assignment” (Norton et al., 2009, p. 83). These cited references should then be listed at then end of your assignment in a reference list. Norton, L., and Pitt, E. with Harrington, K., Elander, J. and Reddy, P. (2009). Writing Essays at University: A Guide for Students by Students. London: London Metropolitan University, Write now Centre for Excellence in Teaching and Learning. This entry was posted in E112, E113, E217, E233, E313, E314, Gavin Williams, Helen Owton and tagged Referencing, Study skills on December 5, 2016 by Helen Owton.